This post brought to you by Rums of Puerto Rico . The content and opinions expressed below are that of Metallman's Reverie. Hey there. Did you know that Puerto Rico is known as the Rum Capital of the World? I sure didn't. I also didn't know that Puerto Rico has been distilling the spirit for over 450 years. I wouldn't doubt it if the rum was there during some of history's most celebrated moments. Maybe Thomas Edison and Nikola Tesla toasted after bringing electricity to the homes of millions. Maybe it happened, maybe it didn't. But what if it did? Well, now we'll know! Well... sort of. 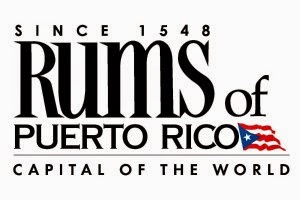 History.com and Rums of Puerto Rico have teamed up to bring you an original series: RUM TIME! Rum Time imagines behind the scenes celebrations and after parties of historical achievements. It will provide insight about the rums of Puerto Rico while giving interesting facts of the achievement. Let's take the invention of the light bulb for instance. Check out the first episode of Rum Time to get a better understanding of series. So what do you guys think? Interesting, no? I think it's pretty cool how history.com has stepped up to be a part of this to add more authenticity to the facts given. It's not just a series about rum, but one that gives a little mini history lesson as well. It's perfect for a guy like me. I can't wait to see what else Rum Time will do a show on. Maybe the invention of a sport? Maybe the construction of a monumental building? Maybe the finishing touches of an influential film? All of these would made for a great show and I for one would like to see what those celebrations could have been like! Make sure you check out and subscribe on YouTube to keep up with all the latest episodes and visit www.itsrumtime.com to read up on the rum showcased in the episode and even watch a video on how to prepare the drink. You must be 21 to check it out! So what did you think of the episode? Something that you would be interested in checking out? We've all had moments where we grab our favorite adult beverage and share a drink with our friends and family. Whether it be to celebrate life's milestones or simply to catch up with loved ones. Remember, somewhere out there, It’s Rum Time! Why not make it yours. Later!